Before the turn of the millennium, record pools were the music resource for professional, gigging DJs who needed the freshest tunes ASAP. Pools used to be the DJ’s source for new releases before they were made available anywhere else because of their strong ties with record labels and publishers, so getting a coveted spot in a record pool meant access to new tunes “hot off the press” in vinyl or CD shipped to your house for a fee. In exchange for membership in a pool, DJs would rate the tracks and give them airplay at clubs they would gig at. Today, record pools have made the transition to digital, letting members download music from their sites instead of mailing tunes in the post, cutting shipping cost and wait time, and also making it a lot more convenient for DJs. Why should I join a digital download pool? 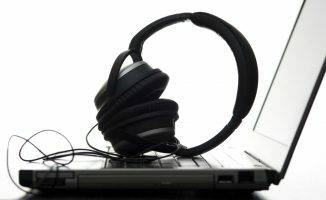 With music distribution and DJing going digital, DJs now turn to blogs as the de facto outlet for new songs, many of whic can be downloaded as soon as they’re put up on the web, but keeping tabs on all the music blogs online can be tricky. Also, since anyone with a laptop and internet access can grab songs from these blogs, “exclusivity” goes out the window. These two areas are where DJ pools still fill an important need. While they may not be the primary source of music for all digital DJs these days, pools still occupy a very important niche in the DJing landscape; they’re a great resource for Top 40 / hip-hop / dance tunes with DJ intro edits, clean versions, and studio acapellas. They’re also an outlet for exclusive remixes, mashups, and re-drums of old songs, all of which are handy for open format and mobile DJs. Finally, pools set themselves apart from music blogs by having excellent customer support, with the best pools giving you e-mail updates on the latest music uploads to their system so that you download them immediately. How do I join a digital download pool? In the past, you strictly had to be a professional gigging or radio DJ in order to gain access to a record pool, since labels are basically handing out promotional copies of music so DJs can “break” them into their club or scene before it comes out in other mainstream outlets. These days, you can simply fill out a registration form at the pool’s site and, after paying the requisite subscription amount, gain access. Wondering how to choose the DJ pool that’s right for you? Check out this article. Mostly EDM and hip-hop/R&B selection. The interface is a bit old-school, looking more like an FTP site than a modern web page, but that makes downloading entire folders of music easy to do in one sitting. Lots of good edits, remixes, and mashups to be had here. Comprehensive urban music selection, but also has a wide variety of other dance music genres (EDM, trap) to download. Offers the ability to download all versions of a chosen song (eg Clean, Dirty, Intro, Shortcut, Instrumental) with one click. Good selection of urban and dance music with a more modern layout. 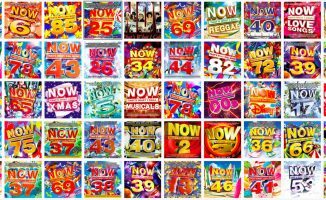 They’ve got a “Featured Songs” section which reviews a new track daily, though majority of these songs are urban (with the exception of the occasional Top 40/EDM/UK Garage track). 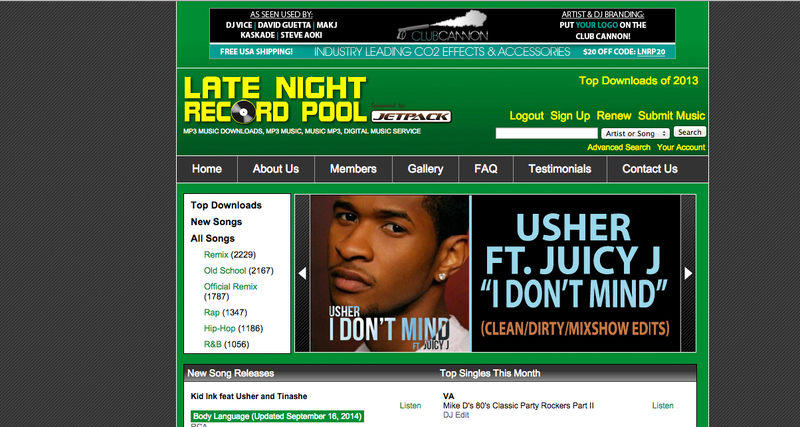 Great pool for hip-hop DJs. Massive selection of dance music, including hip-hop, indie, and club Top 40. Lots of exclusive remixes and edits of popular tunes. 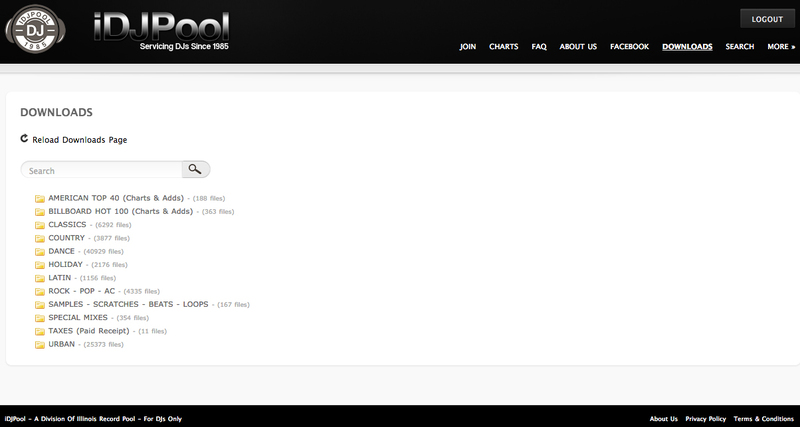 Has a daily chart section and a well-curated DJ news portion on the site dedicated to the craft. 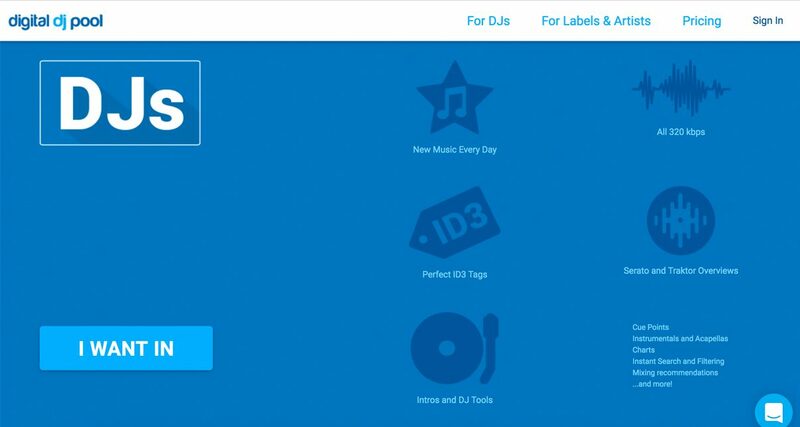 Awesome for club DJs who need a wide selection of chart music. The only pool in our line-up that uses its own download client/music player called “POOL Player” with an intuitive interface for easy searching. Impressive amount of music in this pool with different genres, and also includes video downloads. Awesome e-mail support with daily new release updates sent to your inbox by default. Another great pool for club and mobile DJs that need a variety of up-to-the-minute chart music, and a great resource for VJs. Easily searchable modern web interface lets you quickly scour through its vast catalogue of music from the 1950s and up. Has a good rock/indie dance/new wave selection, apart from the usual hip-hop and chart music, but of greater note is the impressive house/electro section. Good all-around pool for mobile DJs. Another pool with a huge selection of music beyond urban and Top 40 music. Has a few videos, but mostly focused on hip-hop and r&b. 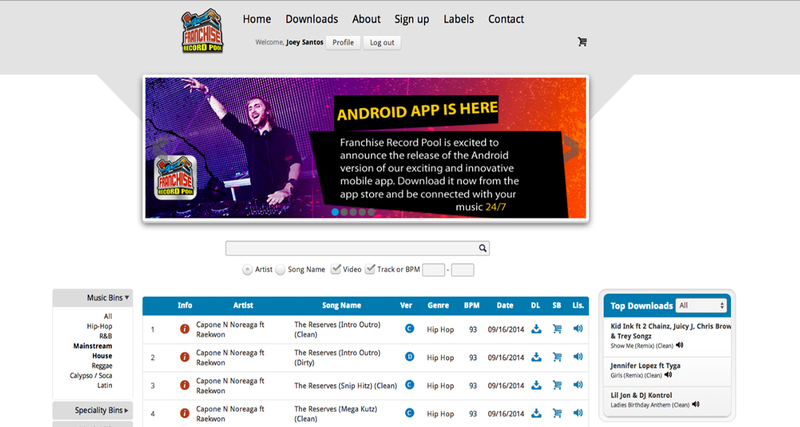 The pool has a mobile app for Android and iOS that lets you preview songs online and download them to your PC. The pool also has its own software called TRACKer, which is a social app that connects you with other DJs in the pool, and lets you get in touch with the artist/label when you’re playing their tracks, among other features. Cost-effective pool for DJs that need a lot of music and some videos. 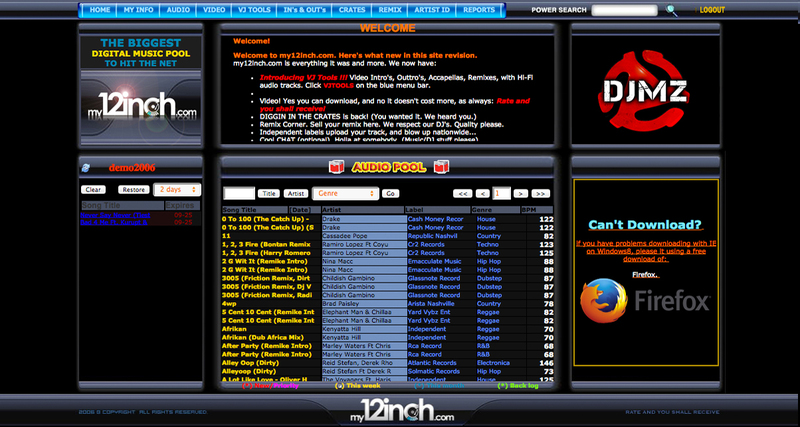 Modern web interface, mostly dance, urban, and Top 40/Pop music. Good electronic music selection, but no rock/indie tracks in the pool. 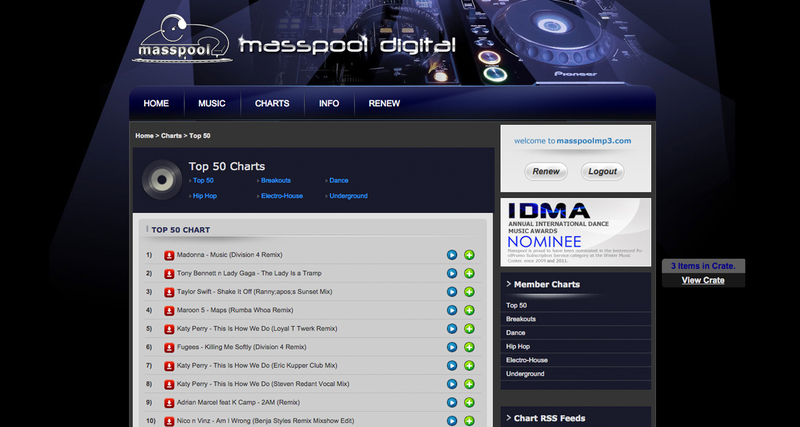 Easily accessed and regularly updated Top 50 chart for different genres in the pool. Tons of urban tracks, as well as Top 40/Pop and radio hits. Has an extensive video section for VJs, one of the largest in this roundup. Web interface is a bit dated. Fantastic pool for hip-hop and club DJs that need both music and video for their performances. In the end, you have to choose a pool that meets three criteria: The pool has to have the genres you’re interested in, it has to offer the formats you need for your performance (eg videos if you’re a VJ), and it has to fit your budget. If you’re a busy individual who also happens to DJ a lot of mobile or club gigs, joining a record pool can save you from having to manually scour through new-release blogs in an effort to keep your library up to date, plus you also get those important intro/outro edits that make DJing radio singles easier. Again, while pools aren’t the primary way of discovering and breaking new tunes these days, they’re still a practical, time-saving resource to stay abreast of new tunes and remixes without having to do the “search and download” process manually. Have you joined a record pool already? If so, what’s your favourite? Did we miss any? Share with us your suggestions in the comments section below. Should You Join A DJ Download Pool? 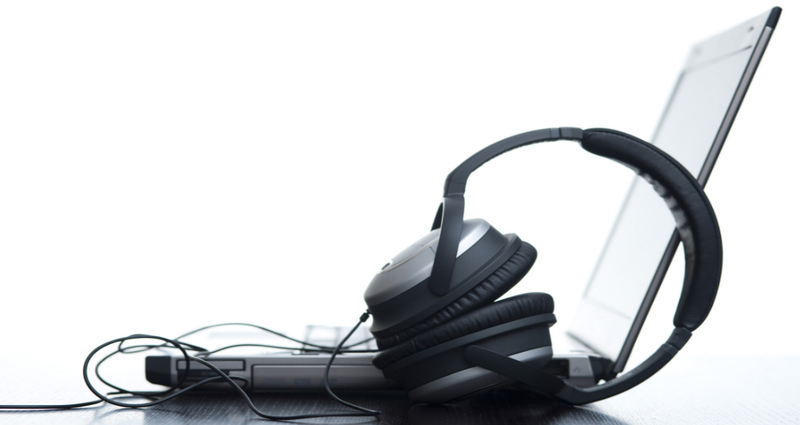 Should You Join A Digital Record Pool? mymp3pool.com Surprised you don’t already have this in your list. I’ve used quite a few of the other pools listed and I find this is the best. Great value for money. Only about $29 per month… unlimited audio + video downloads as well. Should also mention above that Promo Only also does lossless files for every track they release. Always tracks released from the labels, and never a crappy or unmastered bootleg from someone’s fruity loops. If quality is important to you, check out promo only. Definitely agree on ZipDJ. Should be in the list. I used iDJ pool first but ended up being a nightmare as there was at least at that time no way to pre litem to a song before download. needed to download 3-400 songs each week to find maybe 10-20 that I would keep. 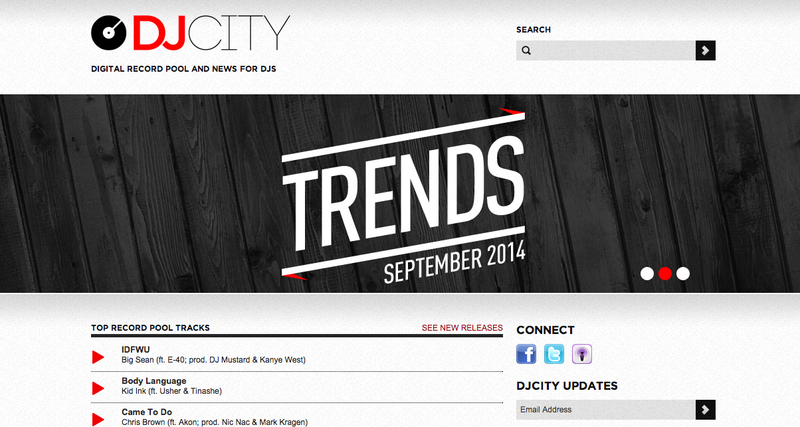 Now for about a year I’ve been with djcity and totally love it. If you are on a Mac using the provided Transmit FTP client, all you have to do is hit the space bar and it previews the tune just like playing a tune in the Finder on your Mac. Also the website version now has a preview too i think, although I never use it, I LOVE to be able to choose from 300-400 tracks because it means that if I need it I’ll probably have it from idjpool. 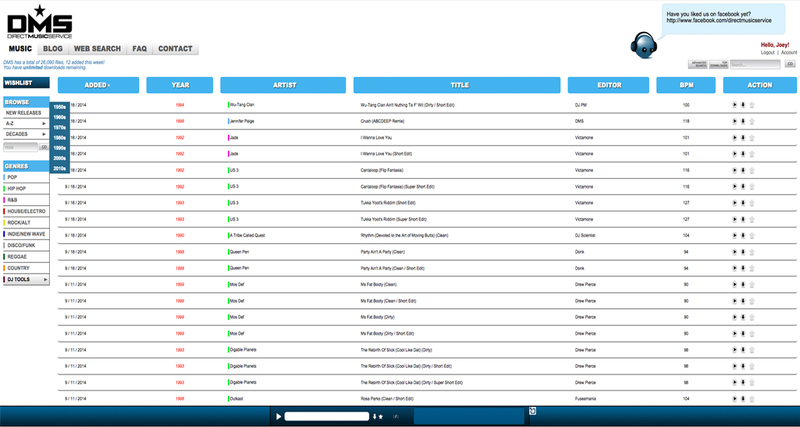 I use Windows and the web page has previews for every song and downloads are practically instant. Glad that you didn’t include BPMsupreme.com. Their new website is super laggy and useless. Personally for me, Masspool is the best. I tried some others, but their dance titles were too US-oriented. (99% nothing but massive EDM festival bangers and bigroom Top 40 remixes.) Nothing wrong with that, but Masspool has a wider array of styles. Although it’s normal for them to upload the same tracks several times per week within different categories, so that for example Riva Starr Remix XYZ is suddenly Dance, Underground and Electro House (and probably even Hip Hop too). And you can find the same track about 5 times on their site. But apart from that, it’s great! Thanks for the intentional plug for this pool, I’ll check it out. I don’t mind EDM but I can personally do without it. I rather have so-called big room Top 40 House Remixes. my only experience has been with ZipDJ.com. I think because I’m super selective in the way I choose music didn’t warrant me spending money on the subscription. I may buy 10-20 tracks a month from different sources. To spend $50 a month on one source and maybe only download 5 tracks a month seemed like a waste. I use BPM Supreme. 20 a month and they sell hard drives of their entire music collection which is pretty cool. Digiwaxx is free but is 80% rnb hip-hop. Suits me fine but is a flash website. Videotoolz v2 is around $20 Mark. I’m mainly rnb hip-hop. But use it for us chart and dance tracks when needed. Also has mashup section and music videos to mix. I’ve not seen that cover Drum & Bass or Breaks. Pity! Does anyone use ERG PoolTraxx? I’ve been considering it for a while but haven’t pulled the trigger yet. Currently I buy tracks from iTunes and Beatport, but an analysis of my buying over the past year or so tells me I spend on average $25-35 per month. Might as well have a subscription for the same cost. I use Promo Only and LOVE THEM. Incredible selections/variety and awesome customer service!! Absolutely recommend them. Tried applying many times to zipDJ and no luck. Anyone have a recommendation for tech or deep house pools (the lists above gave off the feeling of only mainstream genres)? I’ve been using direct music service for about three months now and pay for the 80 downloads a month service. It’s not too bad, but I don’t have anything to compare it with at the moment. The site could be a little more user friendly in my opinion, but I can be kind of picky. I will say their customer service is awesome. I had a problem about a month ago and they were very responsive and helpful, and I’ll take that over Web layout any day. I use Xmix.com. I love them. I love xmix but promo only gives you more variety. I use Crateconnect,great pool for mostly urban stuff but they have some house/dance too, only $24 a month. Used this site since way back when it used to be called hiphophits. What about mixshowtools.com mp3 mp4 and email blast. iDJPool has come a long way over the past 2 years and has a huge selection of genre’s. I use mostly the dance and it’s always on top of the newest trax’s with various remixes. Top it off with the holiday and mashup sections it’s well worth the money. I’ve tried some of the others and they’re just not as comprehensive. I’ve been in the game for awhile now, I have used Dj City, crate connect, Franchise Record pool, BPM Supreme and others; but iDjPool keeps pulling me back. Superb quality files, ease of downloads, broad genre and updates everyday, all for a great price, definitely #1!!!! I’ve been using iDJPool MP3 Record Pool http://www.idjpool.com/ for about 3 years now and I love it there! The website is amazingly easy to use, I never get lost there. The audio previews (players) are spectacular, the downloads are super fast and most importantly…. they have EVERYTHING I need! They just opened up a couple more sites too if you’re looking for something a little different…. Try ’em out and be sure to tell ’em Savannah sent ya! We promote the iDJPool. We’ve promoted and offered third party record pool services for years, but have settled in with the iDJPool due to selection (have many Mobile DJs using it) and the FTP bulk download capabilities. The fact you can download the last 2 years of uploads as soon as you subscribe is a nice bonus, the DJs I talk to usually subscribe quickly once we explain that to them. I’ve been with Idjpool.com for many years now. The pool always has every single song I’m looking for. Yep, all the songs are always there. Great service, and Dave the director is always there to help with any questions. Reasonable rates, great service, good music, what else can I say, I LOVE IT! I know that anyone who joins will have the same experience, I’m sure! I always use idjpool for all my music needs, excellent selection and layout, totally professional service and reasonably priced. I only use iDJPool. There is no need for any other. The service is the best and they supply all my music needs. I’ve been with Idjpool.com forever. Back when they were vinyl only. They always have every song I’m looking for. Dave is the best, he takes care of us big time. I’m new to the digital download seen. But I like spinning Bmore remixes, what pool has that genre? Thanks for giving props to http://www.my12inch.com I’ve be using them since 2002 and my video and audio collection i got from them has kept me in the business for many years in the club and business gigs. Good review on them.. Also, I got an email saying that they are now offering HD videos now..
Been using Masspool Mp3 Digital service for 5 years now and it’s been a totally awesome experience. The staff is totally at your service all the time. You need anything, they’ll go out of their way to try and get it for you. Massive amounts of tracks from everywhere. One thing i have to comment on, the download speeds.. one 2 words “Lighting Fast”. At least that’s my experience with them. Also they have been nominated year after year for IDMA which is huge. I’ve been in masspool djs for a few years now and I must say the music and quality is amazing!! Love their service and site is so easy to use! if anyone wants a good dj pool masspool djs is the one! hi Ross, I go to the IDMA’s and Promo Only has won it 8 years in a row. I have been on their service for a long time. Blows everyone else away. Full CD quality, HD video, remixes, reedits, and instant releases. Just saying. 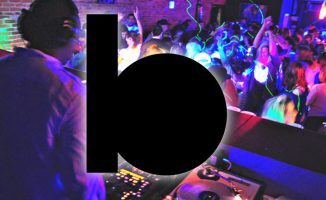 I have had DJ City, Direct Music Services, DigitalDjPool, BarBangerz, and now I have BPMSupreme. Direct Music Services is the best in my opinion, but they are very expensive. I have found that BPMSupreme is the best bang for your buck. $20. 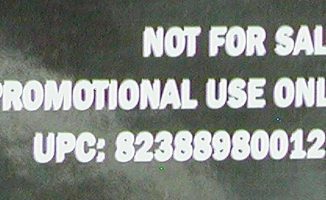 a month for unlimited downloads of mp3s and videos. I will be sticking with them as long as I can. I’ve also been with masspool djs for a few years now. Their selection is incredible and yes they Rock and other styles with a large selection of remix issues that a dj could use all day long. The quality is the best I’ve seen and all metadata for my players is all there! I’m extremely happy with masspool djs for my music and never have to wonder about the quality. They are always up to date and never stop to surprise ! Great DJ Pool!! They have a great offer and u have the ability to get all tracks on Cd’s. And you can prelisten the tracks. I was surprised how long I had to scroll through the Comments before the first mention of cdpool.com!!! masspoolmp3.com Can´t live with out Them. All these are listed in $’s. Do they have UK releases, e.g. upcoming chart stuff?